If you need to write a new resume, make sure you check our dentist resume examples we have written for you. You can download and edit according to your experience and profile. We have also written some tips and advice for your job interview. 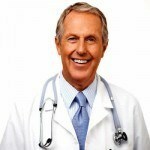 There are lots of dental doctors out there who are vying for the job you want to have as well. But with a good dentist CV, and by heeding these tips on how to score the perfect interview, you can have the edge over all the aspiring candidates. Among the most vital preparations you can make for your interview is to learn about the specifics of the clinic or hospital you wish to be part of. Knowing about its history, services, and goals will come in handy when the employer calls you in for an interview. While anticipating for a phone or telephone interview, you need to be prepared with what might come ahead. That includes reviewing your Dental Doctor CV and highlighting your strengths as an experienced professional. First impressions last, so you need to dress accordingly when you are called in for a personal interview. You are applying for a dental doctor position, so sloppy mannerisms and grooming issues are definitely not tolerated. Why did you decide to become a dental doctor? What is your edge over all the other applicants? Enumerate the procedures and treatments you have performed as a dental doctor. How do you deal with a rowdy, uncooperative pediatric patient? How do you compute the amount of anesthetics a pediatric client needs in a certain dental surgical procedure? What Post-dental seminars or lectures have you attended? Now that you are finished answering the questions, it is time for you to raise your own. Here are some questions you can ask the interviewer. What dental surgeries or procedures can I do here? What treatments do I need to perform in a hospital? How many patients am I supposed to see every day? Is there an employee union here? How do you address and manage employee issues? What anesthetic agents do you prefer for dental procedures? What dental technologies and equipment are available here? It takes a week or two before you hear some news about whether you are hired or not. While waiting for your status, you can phone or send an e-mail to the interviewer. The message doesn’t necessarily have to be asking whether you are hired or not, it can include a thank you note and a message of appreciation for the time and opportunity that you have been given. If this Dentist resume example wasn’t sufficient for you, you are free to review some other samples and templates from our site. Browse to some related resumes below and find your inspiration.